When executing the Boolean operation through the Make Boolean Mesh command, you may see warning or information messages at the end of the process. As explained in the “Important Notice About Boolean Operations” section of this chapter, the process is very sensitive to the topology of the input 3D models. 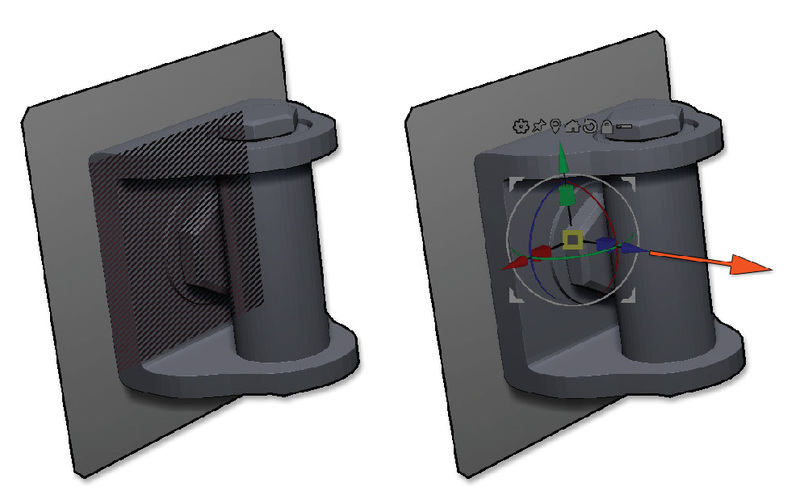 Depending on these meshes, the resulting SubTool(s) can have topology errors. They can even be invisible, like small holes on hidden areas. Boolean operation succeeded but several warnings were reported during the process. The resulting SubTool(s) may or may not contain a few inaccuracies. The first step is to carefully check your model and see if everything looks fine. If yes and you are not going to be performing another Boolean operation on the output result, then you can leave it as it is. But if you are going to perform new Boolean operations based on the meshes that displayed this error, it is strongly advised to look for the cause of the problems, fix them and then generate a new result. Most of the time, the errors are from input meshes with facing coplanar parts or meshes that are not watertight. Before executing the Boolean operation command, it is strongly advised to check for existing coplanar faces. Click the Render >> Render Booleans >> Show Coplanar button. If your SubTools have coplanar faces between other SubTools or themselves, these coplanar faces will be highlighted in red. You then need to select the SubTool which produced coplanar faces. To fix them, you will usually need to just slightly move and/or rotate your model or its topology until the red area disappears. On the left, the model with the coplanar faces highlighted. On the right, one of the SubTool has been slightly moved to remove the coplanar faces. You can quickly switch between SubTools which have coplanar faces by using the Next and Previous functions. These buttons will only cycle through the SubTools that are reporting the coplanar issues, skipping the rest of the SubTool list. If ZBrush displays a message after using the Make Union Mesh function, you will be able to use the Render >> Render Booleans >> Show Issues function. This function can be enabled only if you select the Tool which contains the errors. After discarding the error message, select the generated Tool in the Tool list. You can then enable this feature which will highlight all the parts of the model which have issues. They can be tiny holes or large parts. By analyzing where the errors are located, you should be able to find these causes of these issues in the original model’s SubTools. Most of the time, the errors come from coplanar faces or completely degenerated topology. If you see unprocessed SubTools in your processed Boolean model, it is because they generated an error that prevented the Boolean function from using them. Those problems need to be fixed as well. You can use the Next and Previous commands to switch between the SubTools that show the errors.